This campaign emphasizes that abortion is never medically necessary to save a mother's life, and it details the ways that both mothers' and babies' lives are protected by Ireland's pro-life laws. It is important to remember that Irish doctors are always obliged to intervene to save the life of a mother - even if that risks the life of her baby. In fact, the Medical Council are very clear in this regard. Their guidelines state that doctors will be struck off if they don't intervene to save the life of a mother. The result of the investigation into Ms Savita Halappanavar's death showed that she died because of mis-management of sepsis arising in pregnancy. Had the sepsis been spotted it would have been both ethical and legal to deliver her baby. May she Rest In Peace. Read the evidence, see what the experts say, and find out more by watching the video and checking out the information below. Abortion is not ever medically necessary to save a mother's life. Experts tell us that abortion is not medically necessary to save the life of a mother. There are NO conditions arising in pregnancy that can ONLY be treated by directly ending the life of the unborn child. That's what the medical evidence and the testimony of leading medical experts proves. A. Abortion is the deliberate and intentional destruction of an unborn child.Medical treatment is any treatment needed to save a pregnant woman’s life - including premature delivery of the baby if required. Even though the baby may not survive, every reasonable attempt to save the baby’s life would be part of the medical intervention. B. These medical treatments are NOT abortions, they are not considered abortion by the professional, and abortion campaigners are being both dishonest and insensitive to mothers to pretend otherwise. C. If ANY medical condition arises during pregnancy, such as cancer or ectopic pregnancy, doctors in Ireland will ALWAYS treat the mother even if that gives rise to the unintentional death of their baby. That’s because the intent of the treatment is to save the mother, not to kill the baby. D. The guidelines of the Irish Medical Council state that doctors are obliged to give all necessary medical treatment to pregnant women, even if causes the unintentional death of their unborn child. Furthermore, they state that if doctors fail to treat women in these situations, they may be struck off the register. Ireland's ban on abortion means that our doctors work to protect the lives of both mother and baby. That has lead to excellent standards of maternal healthcare, where both mother and baby are best cared for, and women's lives are never put at risk. That's excellent news! So let's have zero tolerance on misinforming women. The truth is that abortion never saves a mother's life; it just kills a baby. We can best protect both mother and baby by upholding Ireland's ban on abortion. Obstetricians and Gynaecologists are the doctors who care for pregnant women. They've repeatedly said that abortion is NOT necessary to save the life of a mother. They've also stated that while treating cancer or other conditions may cause the unintentional death of a baby, that's clearly not the same thing as an abortion, as every reasonable attempt will also be made to save the baby. Dr Sam Coulter Smith, Master of the Rotunda Maternity Hospital, explained to a Oireachtas Committe hearing: "When we are talking about saving mothers' lives, we should not use the terms 'abortion' and 'saving mothers' lives' in the same sentence, full stop. It is a dreadful reflection on anyone who would actually do that. This is about saving mothers' lives, preserving dignity and not stigmatising anybody. These are wanted pregnancies, loved pregnancies, and intervention has to be made to save the mother's life. To call it an abortion is wrong." “It would never cross an obstetrician’s mind that intervening in a case of pre-eclampsia, cancer of the cervix or ectopic pregnancy is abortion. 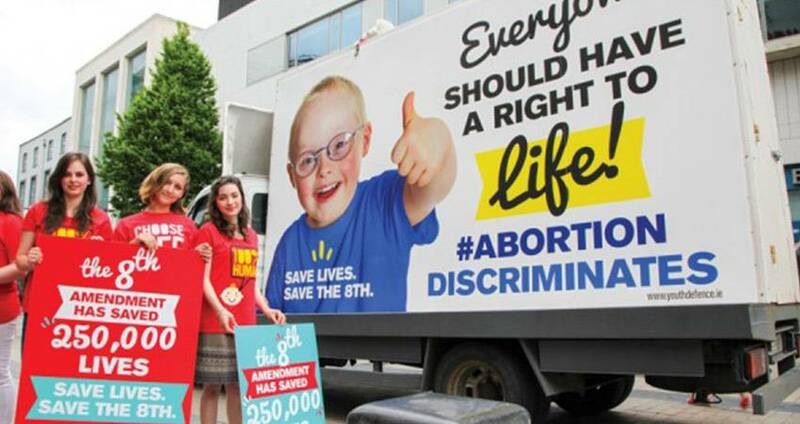 "As experienced practitioners and researchers in Obstetrics and Gynaecology, we affirm that direct abortion - the purposeful destruction of the unborn in the termination of pregnancy - is not medically necessary to save the life of a woman. "We uphold that there is a fundamental difference between abortion, and necessary medical treatments that are carried out to save the life of the mother, even if such treatments results in the loss of life of her unborn child. "During my 35 years as Professor of Gynaecology and Obstetrics at University College Galway, and Director of the Hospital Department of Obstetrics and Gynaecology I delivered - with these hands - over 9000 children in Galway. From my experience, I believe I am entitled to say that there are no circumstances where the life of the mother may only be saved through the deliberate, intentional destruction of her unborn child in the womb. The experts have already spoken. It's time for zero tolerance on misinforming women. The truth is that abortion is NOT needed to save the life of a mother. 3 Submission of The Institute of Obstetricians and Gynaecologists RCPI 29/02/2000. The evidence shows that Irish woman are NOT dying in this country because of our ban on abortion. A. Doctors treat women for ALL conditions arising in pregnancy. C. The Medical Council governs practise for doctors in Ireland - and they insist that doctors treat pregnant women even if that leads to the unintentional death of her child. SO LET'S SET THE RECORD STRAIGHT: IN IRELAND, WITHOUT ABORTION, WOMEN AND THEIR CHILDREN ARE BEING FULLY CARED FOR BY IRISH DOCTORS. 2 Jenkins DM; Carr C; Stanley J; O’Dwyer T. Maternal Mortality in the Irish Republic, 1989-1991 Irish Medical Journal 89(4): 140-1.
Who do abortion campaigners falsely claim that women need "life-saving" abortions? Because they want to build support for legalised abortion - and ultimately for abortion on demand. The reality is that the Labour Party and other abortion campaigners like the IFPA want to legalise abortion on very wide grounds - but they know that position enjoys no public support. So they concentrate on claiming that abortion is needed to protect lives. A major investigation in Britain has found that some unborn babies are aborted simply because they are girls, and that many clinics are not offering any counselling to women. The only reason abortion supporters falsely claim that abortion is medically necessary is to cause confusion. They are using trying to build support for a much wider abortion agenda. It's a thoroughly dishonest ploy. A: WHAT ABOUT ECTOPIC PREGNANCY? What is it? An ectopic pregnancy is an abnormal pregnancy whereby the embryo implands anywhere in the woman’s body outside the uterine cavity which is the normal place for a baby to develop. The vast majority of ectopic pregnancies implant In the fallopian tube, the other ectopics are ovarian, cervical and intra-abdominal. Whilst there have been cases of non-tubal pregnancies surviving to viability and resulting in healthy babies being born, tubal pregnancies carry a high risk of rupture and haemorrhage which can be a serious surgical emergency for a woman. Nowadays, death from a ruptured ectopic pregnancy is rare as they are diagnosed early and women have access to surgical and medical treatment. What causes it? Usually an ectopic pregnancy is caused by damage to the fallopian tubes. The embryo may have difficulty passing through a damaged tube causing it to implant and grow in the tube. Things that make a woman more likely to have fallopian tube damage and subsequent ectopic pregnancy include, Pelvic Inflammatory Disease (PID), endometriosis, previous pelvic surgery, induced abortion and smoking. How is it treated? There are a few options for treating an ectopic pregnancy and these can be divided into medical and surgical therapies. Unfortunately there does not yet exist a procedure whereby a surgeon can remove the embryo and reimplant it into the mother’s uterus to allow it to grow normally. It’s important to remember that a tubal pregnancy left untreated carries with it a high risk of mortality from bleeding which will result in death of both mother and baby. With surgical therapy there are two approaches; a salpingectomy and a salpingotomy. With a salpingectomy the diseased tube is cut out, this can be a total salpingectomy whereby the entire tube is removed or a partial salpingectomy whereby the unhealthy portion only is removed and the remainder of the tube is rejoined to try and preserve a woman’s fertility. A salpingectomy is a rapid and definite resolution of the ecoptic pregnancy. With a salpingotomy the embryo is removed through an incision made in the fallopian tube, and the defect in the tube closed with sutures. The medical approach to treating an ectopic pregnancy involves the adminstration of a drug called Methotrexate which breaks down placental tissue and treats the ectopic pregnancy. The intent of the doctor needs to be considered in every intervention; in the treatment of an ectopic pregnancy his or her intent is to treat an abnormal condition and avert serious risk to the mother. In an abortion the intent is to end the life of a living baby. Intent is something that carries serious weight, in medicine and in criminal law. In Ireland, a country where there is ban on abortion yet permits all necessary care to a pregnant woman, treatments for ectopic pregnancies are carried out without prosecution or judgement because these are not considered to be abortion. Not a single woman has needed to travel to Britain for an abortion to treat her ectopic pregnancy – proof that these interventions are not abortions and can be carried out in Ireland under our current laws and Medical Council Guidelines. He went on to say that; “A ban on abortion does not involve treatment of ectopic pregnancies; you would have to be a misguided doctor to think that it did”. A recent study of maternal mortality in Ireland by the Institute of Obstetricians and Gynaecologists confirmed the low rate of maternal mortality in Ireland and noted that no deaths from ectopic pregnancy were recorded in this country. An article discussing the significance of intent as applied to medical therapies and abortion in situations such as ectopic pregnancies was featured in the Journal Health Care Ethics. This stated that “although the action that corrects the pathology, whether surgical or medical, is the same action that brings about the death of the embryo, that death is not the direct effect that is intended”. B: WHAT IF CANCER ARISES IN PREGNANCY? What is it? Although cancer in pregnancy is relatively rare it unfortunately can and does occur. The major malignancies complicating pregnancy include those of the breast, the reproductive tract and those of the hematological system (blood). Breast cancer is the most common malignancy in pregnancy and approximately 2% of breast cancers occur in pregnancy. A review of the literature would suggest that, in general, the prognosis for pregnant women is the same as the non-pregnant population. The European Registry puts Uterine and Cervical cancer at about 20% of all cancers in pregnancy. Just like the non-pregnant population, ovarian cancer is extremely rare in childbearing years. Haematological malignancies are the second most common cancers that complicate pregnancy. These include the leukaemias and lymphomas. Chemotherapy drugs are potentially curative however these may have a harmful effect on the baby. What causes it? Cancer is a complex group of diseases with many possible causes. It causes abnormal cells to grow uncontrollably and do not die. Genetic factors, exposure to certain substances, a family history and other medical factors such as viruses and immunodeficiency can all be risk factors for developing cancer. How is it treated? There are a number of ways to treat cancer and the treatment options will depend on the type of cancer, how advanced the cancer is and the physical health of the patient. The aim is to remove the cancerous cells while making sure that the cancer does not grow back. The main techniques to treat cancer are; surgery, chemotherapy and radiotherapy. Other modalities would also include immunotherapy and the use of certain antibodies. What about in pregnancy? When making treatment decisions for cancer during pregnancy, the doctor considers the best treatment options for the mother and possible risks to the baby. The type of treatment given will depend on many factors, including gestational age of the baby, the type, locatoin size and stage of the baby. Cancer treatment is not incompatible with pregnancy. Treatment generally takes a multidisciplinary approach involving, obstetricians, maternal-fetal specialists, oncologists and surgeons if indicated. Uterine and Cervical cancer: Endometrial or uterine cancer is rare in pregnancy. Active treatment of uterine cancer is incompatible with pregnancy as there are instances when a woman’s uterus will need to be removed for curative management. In invasive cancer, radical treatment including hysterectomy, radiotherapy, or a combination of both, may be necessary to save a woman’s life. In advanced disease that is not amenable to removing the uterus, high dose radiotherapy may be administered which may cause spontaneous miscarriage. Hyterectomy and radiotherapy in these situations is administered with curative intent. Dr Frédéric Amant has been descried by the Lancet Journal as “leading the agenda on cancer in pregnancy” for his work on treating cancer in pregnancy. He published a series on malignancy in pregnancy in the Lancetand Lancet Oncology. In this series he describes how chemotherapy and radiotherapy can be delivered in pregnancy and he followed these children for an average of 22 months after delivery. What is it? Pre-eclampsia is when a pregnant woman develops high blood pressure and protein in her urine after the 20th week of pregnancy (second or third trimester). It is often an asymptomatic condition so it’s detection often relies on signs and investigations. Swelling or edema of the hands and feet are important signs for the detection of pre-eclampsia but in current medical practice only hypertension and protein in the urine are necessary for a diagnosis. Pre-eclampsia is considered severe when the blood pressure is 160/110 or higher with additional symptoms. If left untreated the condition could involve generalized damage to the cells that line the inside of blood vessels along with damage to the kidneys and liver and may affect their function. This can lead to bleeding problems, separation of the placenta before birth and sometimes stroke. Pre-eclampsia may also occur up to 6 weeks after delivery. What causes it? The exact cause of pre-eclampsia is unknown but may be related to a problem with the woman’s placenta. Other possible causes include autoimmune disorders, blood vessel problems and genetic causes. Risk factors for developing pre-eclampsia include first pregnancy, twins, obesity, age and a history of high blood pressure, diabetes or kidney disease. If the pre-eclampsia is more severe the pregnant woman may be admitted to the hospital so that the specialists can observe mother and baby more closely. In hospital treatment may include medication to control blood pressure and prevent seizures, steroid injections to help the babys lungs develop (after 24 weeks). The doctor will continue to monitor the baby until it has reached a gestational period that is safe to deliver. If a woman begins to show signs of severe pre-eclampsia including abnormal liver function tests, severe headaches, abdominal pain, pulmonary edema (fluid build up in the lungs), HELLP syndrome, kidney failure or seizures, then the baby will need to be delivered. Fortunately severe pre-eclampsia usually presents after the 28th week, with some exceptional cases. Sometimes the doctor will have no option but to intervene and deliver the baby even if it is as premature as 20 weeks. 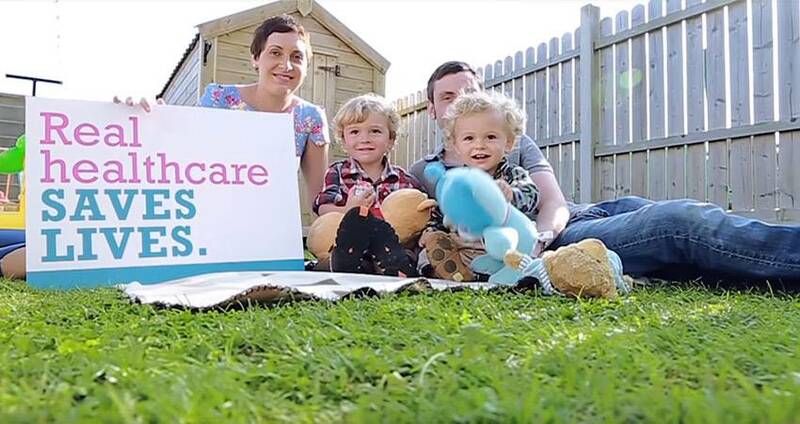 While the chances of the baby surviving this early may be slim, in Ireland, the doctor will do his or her very best to support the baby's life. The baby will be given oxygen and cared for in the same way any premature baby would be cared for. Overtime we have seen viability moved down from 28 weeks to 24 weeks, in some cases babies have been born as early as 21 and 22 weeks, and progressed well. “So when we interfere in the best interests of protecting a mother, and not allowing her to succumb, and we are faced with a foetus that dies, we don’t regard that as something that we have, as it were, achieved by an abortion. Abortion in the professional view to my mind is something entirely different”. Expectant management of severe preeclampsia remote from term: patient selection, treatment, and delivery indications. Am J Obstet Gynecol. 2007 Jun;196(6):514.e1-9. Induction of labour versus expectant monitoring for gestational hypertension or mild pre-eclampsia between 34 and 37 weeks' gestation (HYPITAT-II): a multicentre, open-label randomised controlled trial. BMC Pregnancy Childbirth. 2011 Jul 7;11:50. This is important because abortion campaigners argue that a ban on abortion would put women's lives at risk. But Ireland's experience shows that, excellence in maternal health care, not abortion, is what protects mothers lives. What can we learn from countries where abortion is legalised, such as Britain? Or from the experience such as Chile, where abortion was legalised and then later banned? Abortion on demand was legalised in Britain under the 1967 Abortion Act. That has led to an abortion rate of 20% - one fifth of all pregnancies are aborted in the UK. Certainly, the best medical practitioners do not seem to be attracted to the abortion industry. In 2011, abortionist Dr Phanuel Dartey was struck off the register for almost causing the death of an Irish woman when he perforated her uterus and left parts of her unborn baby inside her at the Marie Stopes International Clinic in Ealing where he worked. 8 Dartey had previously been in connection with the death of a woman following an abortion at a British Pregnancy Advisory Service clinic. CHILE AND THE "NATURAL EXPERIMENT"
Chile is in the unusual position of having reversed their abortion laws in 1989 after a long period when it had been legal in that country. That ban included so called "therapeutic" abortion since legislators argued that abortion was not needed to save mother's lives, since doctors would always intervene to protect the life of the mother, even if that caused the unintentional death of the baby. For the research team, led by Professor Elard Koch of the University of Chile, the reversal of Chile's abortion laws provided a "unique natural experiment". Abortion advocates argued that Chile's ban on abortion would cause a rise in the maternal mortality - the number of women dying because of complications in pregnancy or delivery. The data in Dr Koch's research stretched over 50 years and used excellent public records. “Abortion restrictions are not associated with increased overall maternal mortality and the legalization of abortion is unnecessary to improve maternal health,” Dr Koch found. Maternal deaths continued to decline and Chile today has a relatively low maternal mortality rate (16 per 100,000 live births), outstripping the United States (18) and, within the Americas, second only to Canada (see chart below). Dr Koch and his fellow researchers had access to exceptionally good data: 50 years of official records from Chile’s National Institute of Statistics, 1957 to 2007. He described the Chilean registry of vital data as 'robust and reliable' and noted it is a resource recognized by the World Health Organization, the United Nations and other international groups. Dr Koch concluded that there are many synergistic factors which effect the reduction of Chile’s maternal mortality rate -the education of women for instance being a very influential indicator - but that legal abortion did not decrease the incidence of maternal deaths. He noted that Chile is progressing towards a better maternal health system with world class outcomes, and that Chile has focused on prioritising the things that work and safeguarding mothers and babies. Dr Koch is also an Associate Professor and Director of Research for the Institute of Molecular Epidemiology, Centre of Embryonic Medicine and Maternal Health at the Universidad Católica de la Santísima Concepción, in Santiageo, Chile. He has also won the “Academic Excellence Medal on Research” for three consecutive years (2008, 2009 and 2010) from the University of Chile.